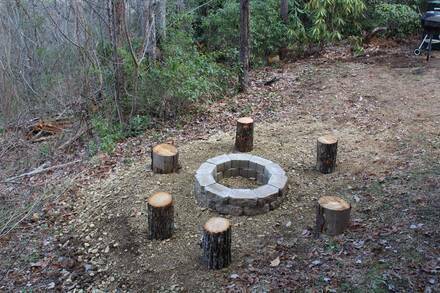 Finding a space for a large family or group vacation can be difficult, even more so locating a tranquil spot with enough room for both group activities and solitude. 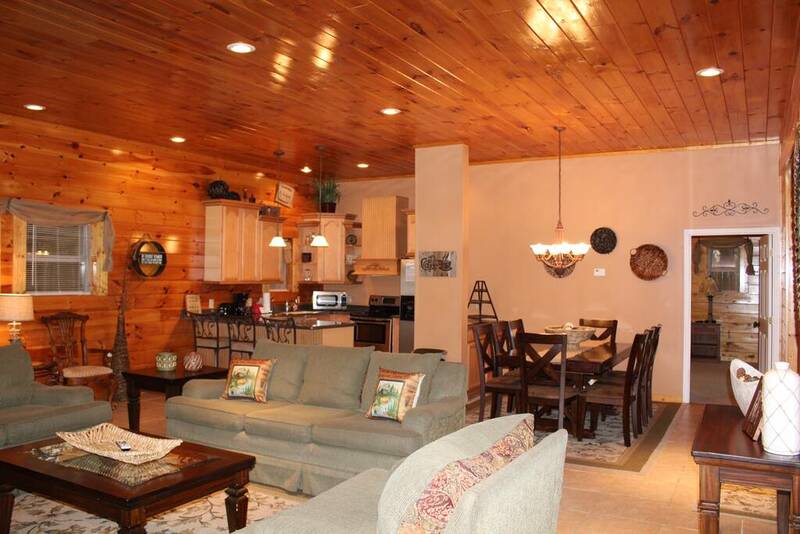 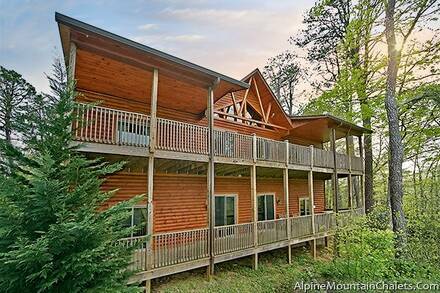 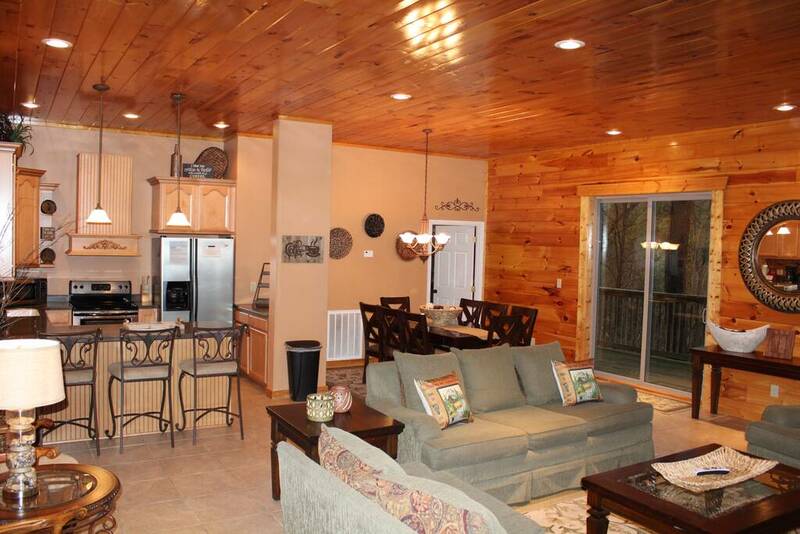 River Song Retreat, one of our large cabins in Gatlinburg, offers both at a price per person that is extremely affordable. 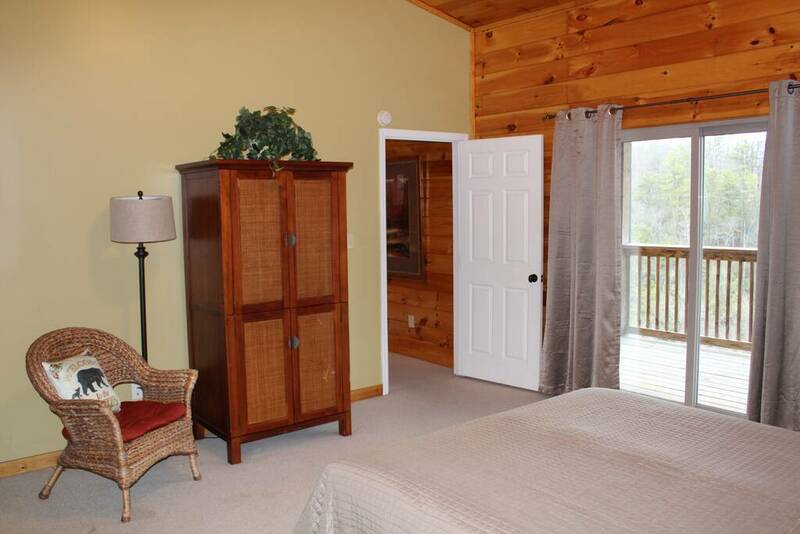 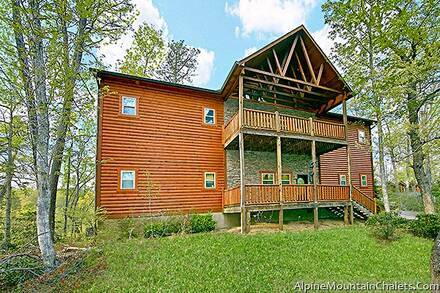 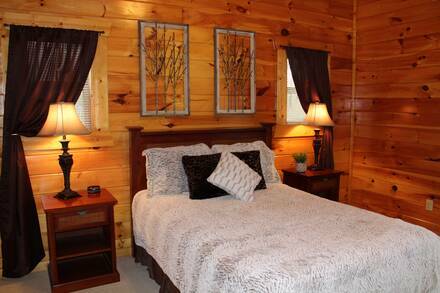 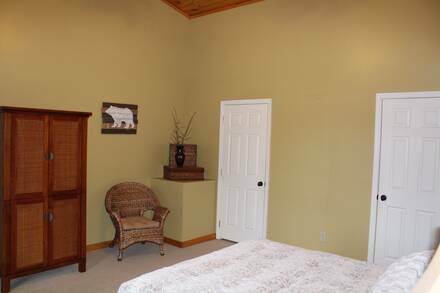 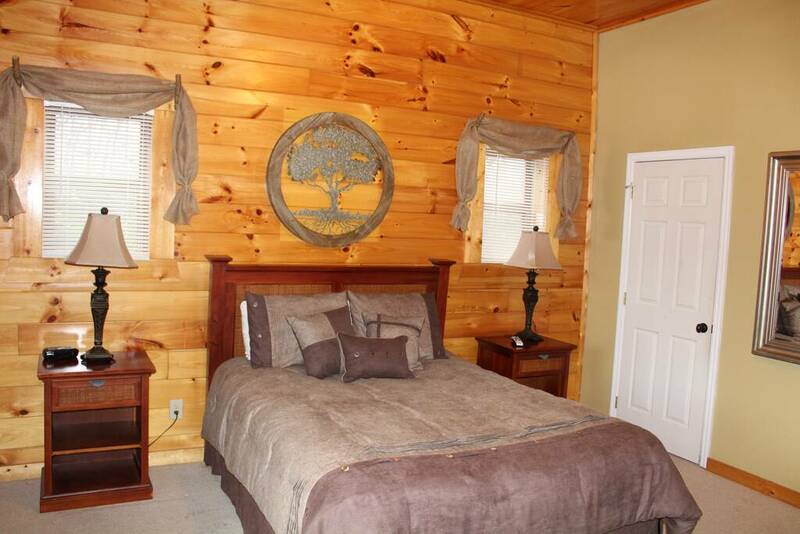 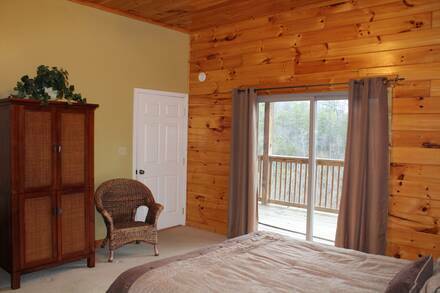 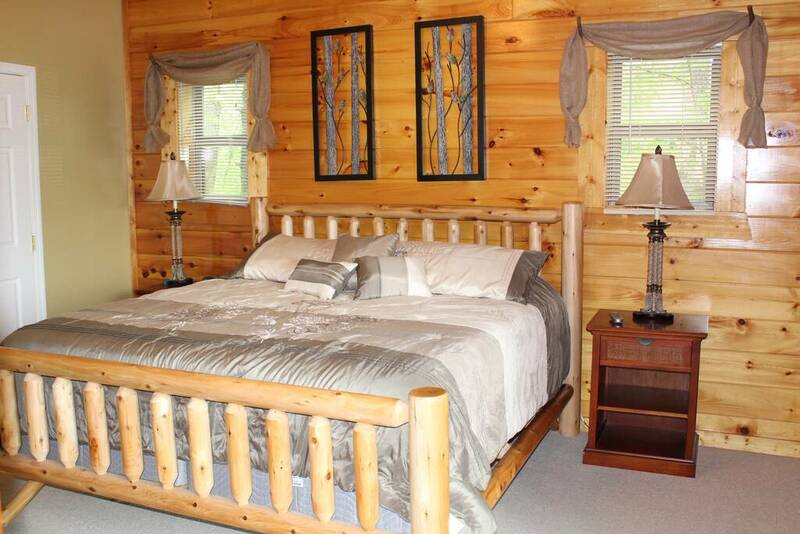 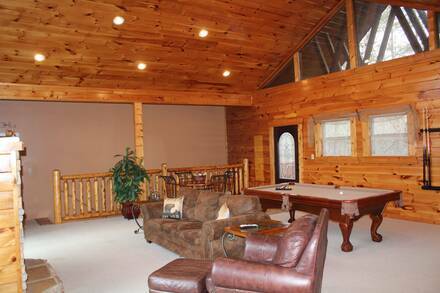 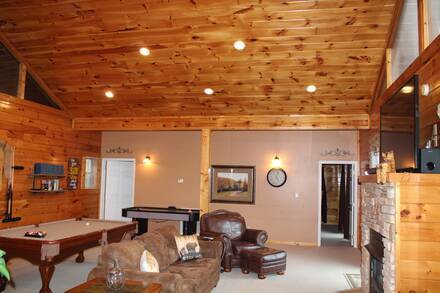 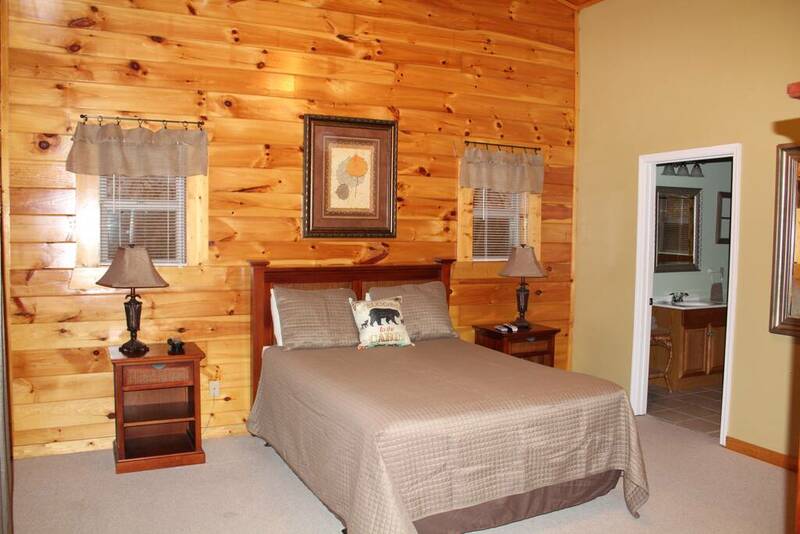 With room for up to 10, this cabin will truly offer you a peaceful retreat. The bright and airy living room has plenty of cozy spots from which to enjoy the fireplace and relax together. 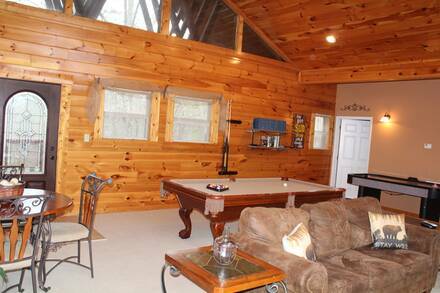 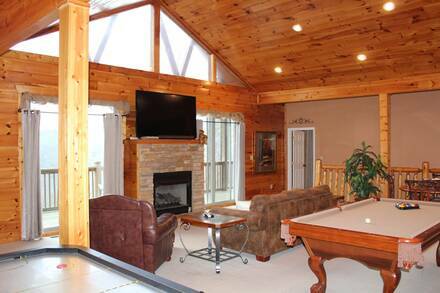 A floor above, the game room offers a second large communal space with plenty of activities. Start a pool tournament on the full-sized table or find a partner for air hockey. 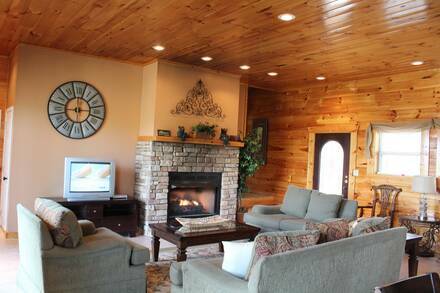 Comfortable furniture, including a leather end chair and ottoman, with its own fireplace as well. 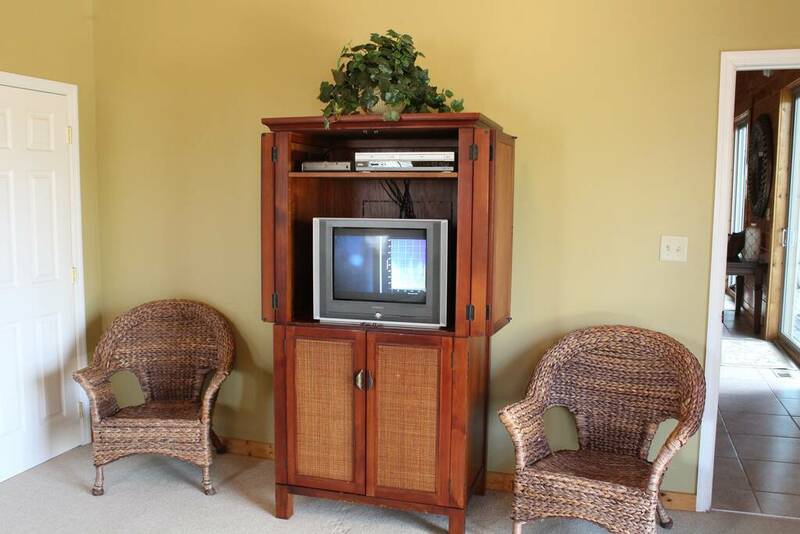 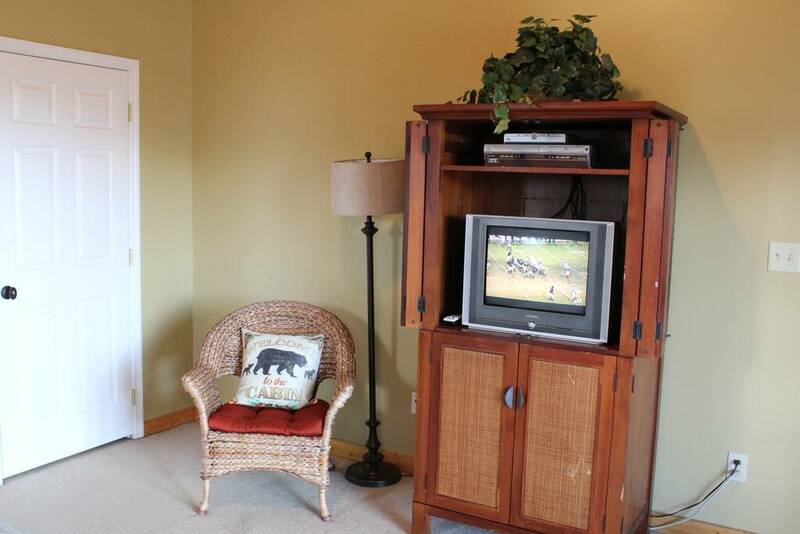 Mounted above is a large wide-screen television for a group movie night. 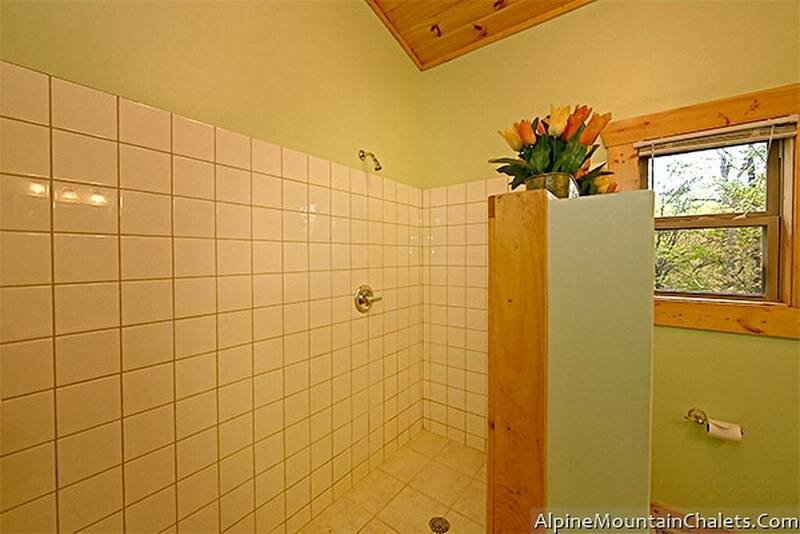 There are four bedrooms and five bathrooms, so everyone will have a sense of privacy. There is a master bedroom with king bed, plus three queen bedrooms, and a sleeper sofa, accommodating your group in comfort. 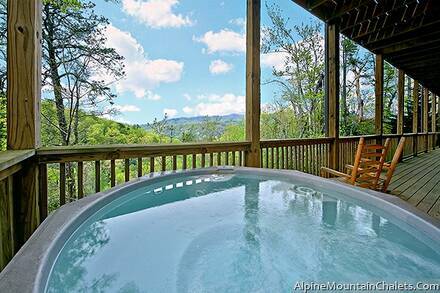 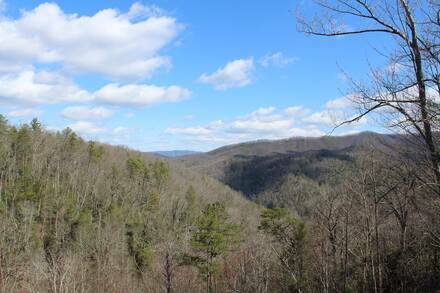 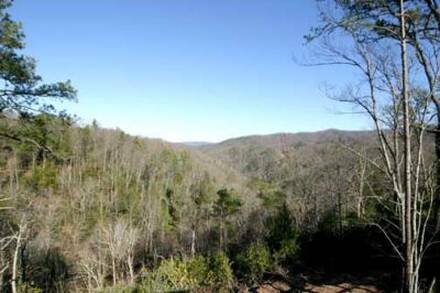 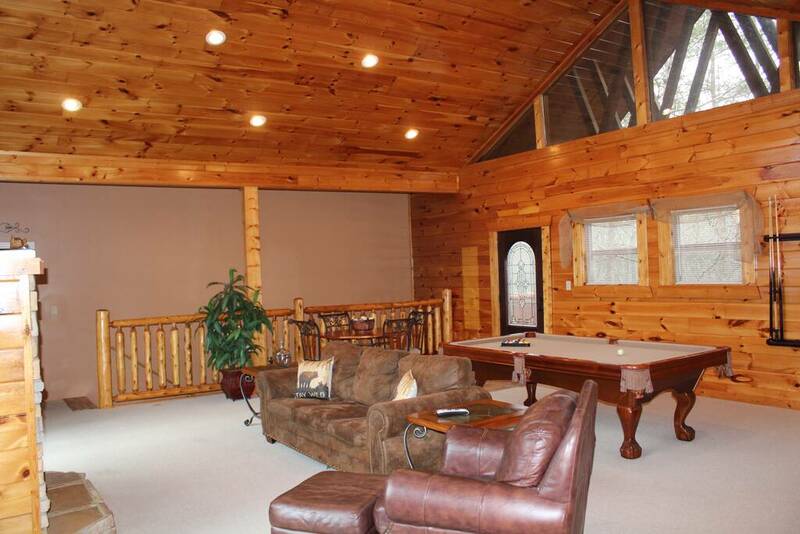 The upper level also has a spacious deck with a hot tub and patio furniture, great for enjoying the view, which mixes a view of the Smoky Mountains with nearby forest for a panorama that is beautiful in all seasons. 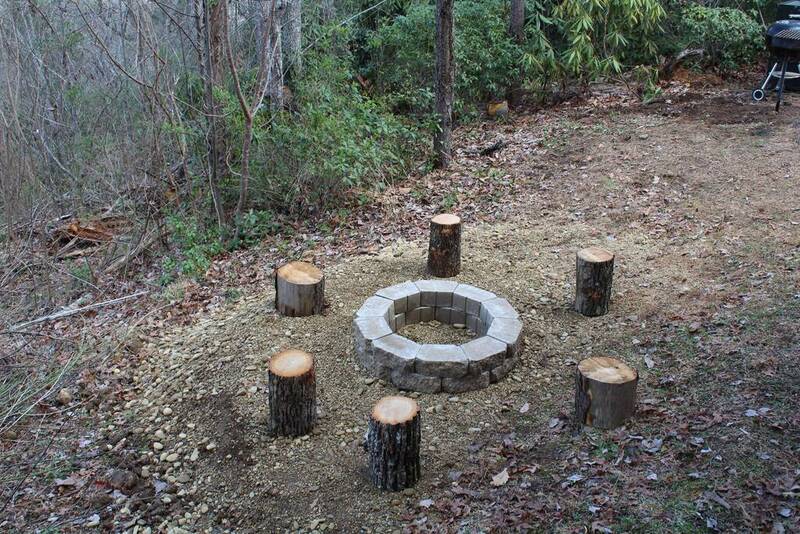 Use the full kitchen and charcoal grill to make a family meal to enjoy together. 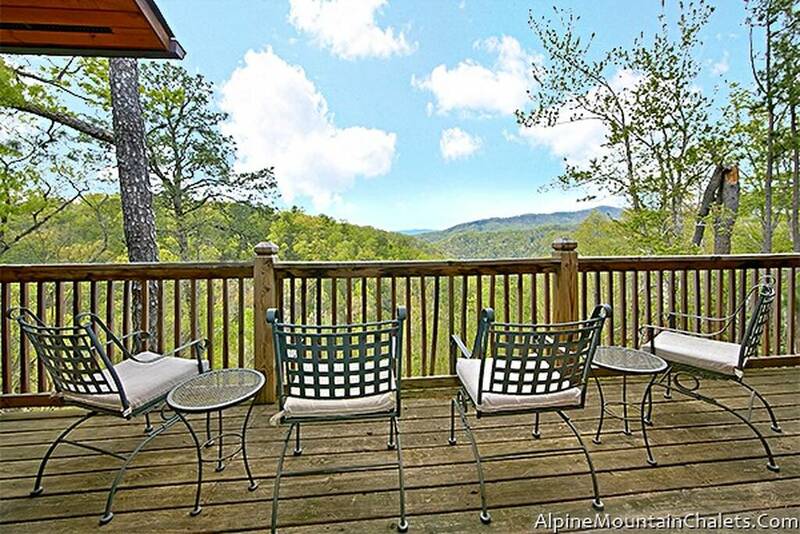 Start a long day of hiking in the Smokies or riding the coasters in Pigeon Forge with a hearty breakfast and save on dining out. For incredible luxury and a breath-taking location in the Greenbriar area of Highway 321-E, book River Song Retreat today!